Tarragona (Catalan: [tərəˈɣonə], Spaingie: [taraˈɣona]; Phoenician: טַרְקוֹן, Tarqon; Laitin: Tarraco) is a port ceety locatit in the north-east o Spain on the Mediterranean Sea. ↑ 1.0 1.1 "Ajuntament de Tarragona". Generalitat of Catalonia. Retrieved 2015-11-13. 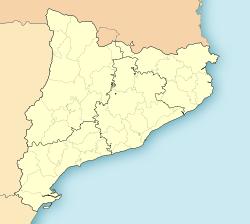 ↑ "El municipi en xifres: Tarragona". Statistical Institute of Catalonia. Retrieved 2015-11-23.